Verizon Theatre at Grand Prairie is located in the heart of the Dallas/ Fort Worth Metroplex, just minutes from both cities’ downtown areas, as well as DFW airport. The venue is one of the most flexible and advanced indoor performance spaces in the United States. 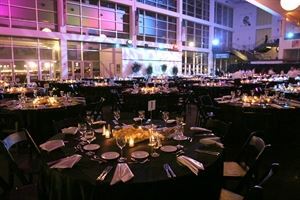 The beautiful, state-of- the-art venue features comfortable, spacious seating, upscale catering, corporate hospitality areas, convenient parking, and a stage that can handle any production, big or small. The seating can be scaled to accommodate between 2000 and 6300 guests, while still maintaining an intimate setting. From concert events to corporate events, Verizon Theatre is the perfect home for your next function. Call us for specific pricing for your event! We can accommodate any group from 50 to 5,000!